When a person is charged with DWI in Brazoria County, or a related criminal offense, two establishments will immediately take interest; the Brazoria County District Attorney’s Office and the Texas Department of Public Safety. An arrest for Driving While Intoxicated (DWI) is a two-fold nightmare for the defendant. 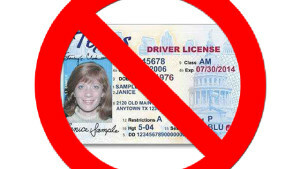 For one, the Texas Department of Public Safety will immediately deem the driver as a threat to public safety and motion for Administrative License Revocation; for two, DWI is a crime which will bring serious criminal charges that can result in a lengthy jail sentence and a number of fines and other financial penalties. You have no right to drive. Driving is a privilege granted by the State of Texas! When a person is charged with DWI in Brazoria, under Texas Law, a process is initiated which involves the immediate “administrative” revocation of the defendant’s driving “privileges”. To be more clear about the seriousness of the process; the State of Texas will suspend your Texas Driver License long before you’ve been found guilty of any crime in the court of law. The police officer or sheriff’s deputy only needs to “say” or “feel” that you were drunk, and that’s the end of driving. When a person loses their driving privileges it can seriously stymie their lives and that of their family members. Children have to be picked up from school, groceries need to be purchased, and the big one, transportation to-and-from work. If your Texas Driver License is suspended (DWLI or DWLS), and you’re caught driving by police, you’ll go straight to jail. If you have your child(ren) with you at the time, they’ll be left in the hands of the state (CPS) until a legal guardian can claim and take custody of them or until you can post bond and get them yourself. Having your Texas Driver License suspended due to a DWI in Brazoria will put you in a situation that can best be described as “bad”. Attorneys Tad Nelson & Amber Spurlock understand the difficulties that accompany having one’s driving privileges deemed unlawful and there are solutions available to help you. If we’re contacted fast enough we can petition the court to allow you, at least, some driving privileges. An Occupational License may be possible if we’re given the opportunity to intervene fast enough, prior to the finalization of ALR. In other instances we’ve been able to have the case thrown out once contacting the D.A. in cases where the evidence wouldn’t have supported a guilty verdict in the first place. Attorney Tad Nelson, a Brazoria DWI Defense Attorney with over 23 years of experience, knows how to effectively fight allegations of intoxicated driving for our clients. 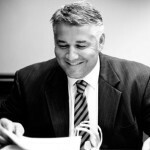 As an attorney who is Board Certified in Criminal Law by the Texas Board of Legal Specialization, a process which requires a number of hours worth of additional education relative to criminal law, Tad Nelson knows the ins and outs of criminal defense litigation and will use this experience & know-how to serve you and fight the charge. Attorney Tad Nelson is also a ACS/CHAL Lawyer-Scientist who is also working on his Masters in Forensic Toxicology which is a clear demonstration of our ability to challenge DWI accusations based on the only thing that matters in these cases; the science. To get in touch with Brazoria County DWI defense attorney Tad Nelson please click here or call us at 979-267-6069. Many children are told that any serious criminal infractions they commit will end up on their “permanent record.” Of course, while this may be a scare tactic for kids, the same cannot be said for adults. To be sure, any serious violations of the law, such as driving while intoxicated, and even arrests, may in fact lead to a permanent mark on your criminal record. If you get arrested in Texas, it goes on an arrest record. This is a record that’s maintained by the FBI for almost every jurisdiction in the country. The record is held in the National Crime Information Center (NCIC), and almost every jurisdiction nationwide reports every arrest. Furthermore, information is collected and compiled whether there is a conviction or not. The NCIC is only available to law enforcement agencies for legitimate law enforcement purposes. The State of Texas also maintains its own database of criminal records known as the TCIC. Further, arrest records are usually a matter of public record that are available on a public database which is maintained by the Texas Department of Public Safety. As such, not only does an arrest go on your record, it is there for everyone to see – if they only know what they are looking for. There are situations, though, where an arrest can be removed from your record, as explained below. Ultimately, if you get convicted, this will be visible on your criminal record. You must also understand that if you plead guilty, no contest, nolo contendre or take an Alford plea for a DWI in Texas, you will have a conviction record. Not all criminal records are required to remain on your criminal record forever, as some may be eligible for expunction. Expunction is the legal process for getting arrests and convictions removed from your record. You were arrested, but never charged. Obviously, these conditions only apply in very specific situations. The other option for sealing criminal records in Texas is an Order of Non-Disclosure. This is a legal process whereby the clerk of the court is prohibited from releasing your records after a satisfactory deferred adjudication outcome. Unfortunately, in DWI cases, deferred adjudication is not an option as it is prohibited by Texas law. Overall, the best way to keep your record clean if you are arrested is to receive an acquittal. And to do so, it is imperative that you contact a skilled attorney at The Law Offices of Tad Nelson & Associates or another experienced DWI lawyer in Brazoria, TX for help. We at The Law Offices of Tad Nelson & Associates have significant experience defending the rights & freedom of the accused in Brazoria County and will begin working for you, on your case, immediately. 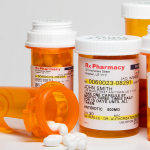 If you look closely at many of the pill bottles in any given medicine cabinet, some of them contain warnings advising a use of caution when operating machinery or driving a vehicle. This is because many prescription drugs have the potential to impact your ability to be safely drive your vehicle without putting the public at risk. As such, a question arises: Can you be charged for DWI in Texas because of the effects of your prescription drugs? Texas law defines “intoxicated” as not having the normal use of mental or physical faculties due to the introduction of alcohol, a controlled substance, a drug, a dangerous drug or any substance into the body. It is clear, then, from the language, that prescription drugs fall within this definition. Also, it is clear that intoxication by alcohol has a set standard at which you’re automatically deemed impaired by law, which is .08% blood alcohol content. One thing the law doesn’t make clear is how the determination of intoxication is made when the alleged intoxicant is a prescription drug. How Is A Prescription Drug DWI Proven? In Texas, there is no per se limit for drug intoxication. The information you provide to the police during the traffic stop. Based on these factors, the police officer may decide to charge you with DWI. If you are charged and the case comes to trial, the prosecutor will try to prove that you lacked your normal physical or mental faculties by reason of the intoxication caused by your prescription drugs. The first defense to this type of DWI is not a defense at all. If you’re pulled over, you’re under no obligation to tell the police officer that you’re taking prescription medication. If they don’t know this and you agree to take a breath test (provided you haven’t also been drinking), they may have difficulty determining that you are intoxicated. The second defense is an unanticipated reaction to the drug. Obviously, impairment is a known reaction to controlled substances. However, a steroid injection might cause a reaction that was entirely unanticipated. Some courts might be sympathetic to this argument. Finally, if your conduct is within acceptable parameters, and you don’t give the officer reason to suspect your ingestion of medications, a possible defense might exist to challenge the probable cause the officer used to decide that you were impaired. As more and more of us take medications the risk of being in an innocent situation, that carries a strong possibility of being pulled over due to suspicion of DWI because of prescription drugs, increases. It’s important to defend your rights every chance you get. For the best results after an arrest, seek consultation with a skilled and experienced DWI attorney. If you are arrested for suspicion of DWI, know that our Brazoria DWI-dedicated defense team has a number of criminal defense strategies for situations like this. Facing DWI charges in Brazoria County because of prescription drugs? Contact The Law Offices of Tad Nelson & Associates today at 979-267-6069. Attorneys Tad Nelson & Amber Spurlock are ready to discuss your case. What Is Intoxication Assault In Texas? In short, intoxication assault is a felony in Texas that occurs when a driver of a motor vehicle operates the vehicle in a public place and causes serious bodily harm to another through mistake or accident. This can be confusing to some as the term “assault” can mean something vastly different in other jurisdictions. In many jurisdictions the term “assault” means placing an individual in the fear of imminent unwanted contact at common law and in many state statutes. In most States it does not even have to include the actual touching itself. The actual touching is often considered battery. Intoxication assault, however, is an exception to this rule. By reason of the intoxication, the operator caused serious bodily injury to another. On its face, it seems fairly simple; however, proving the prima facia case can be a complex process. There are ultimately five separate elements that the prosecution must prove beyond a reasonable doubt. The first is the easiest to prove, provided the offender is found behind the wheel of the vehicle. However, proving the accused was the operator is not necessarily as simple as it sounds. If there are no witnesses to the incident, it can be difficult to demonstrate who was behind the wheel at the time of the incident. Proving the operator was intoxicated at the time of the accident requires the same proof as the intoxication portion of DWI. This can be done in three ways in Texas: by showing that the operator’s blood alcohol content was .08% or higher; the operator did not have the normal use of physical faculties; or the operator did not have the normal use of mental faculties. The latter two apply when chemical testing is refused or when the chemical test does not requester a blood alcohol level over .08%. Of course, as with any DWI charge, the police must have probable cause of DWI to require testing of an individual before they may proceed. Proving that the accident happened in a public place is also relatively easy in many cases. However, complications can arise in certain instances. For example, if you are backing out of your driveway and strike a car on the street while still in your driveway, questions may arise as to whether this is a public place. Next, the prosecutor must demonstrate that your intoxication caused the accident. This can be problematic at times; for example if the car that was being driven had faulty brakes, then the prosecution will have difficulty proving that the accident was caused by the intoxication. Finally, serious bodily injury must have occurred. This is defined as an injury that creates a substantial risk of death or that causes death, or that causes serious disfigurement or the loss of function of an organ. Intoxication assault in Texas is generally a third degree felony punishable by a minimum of two years in prison with a maximum of 10 years in prison and a maximum fine of $10,000. This can be enhanced to a second-degree felony if the person injured is a peace officer, a firefighter or a emergency medical service personnel. A second-degree felony is punishable by a minimum of two years in prison with a maximum of 20 years in prison and a maximum fine of $10,000. As you can see, intoxication assault is a serious charge in Texas. You need to protect your life and rights with serious representation. The skilled litigation professionals at The Law Offices of Tad Nelson & Associates are here to help you if you need to talk with a DWI lawyer for a case set to be heard in Brazoria County. Don’t hesitate to reach out to us today for your legal defense.